LADIES ZARA BLUE AND GOLD PATTERN MAXI DRESS WITH TIE DETAIL. LONG MATERIAL TIES FOR WRAP AROUND WAIST TIE. SIZE M (UK 10-12). BUTTON DETAIL ON SIDE OF NECKLINE. 100% VISCOSE MATERIAL. Ladies ZARA lightly textured crepe style fabric pink, purple, orange, green, grey & mustard yellow floral daisy print 1940s inspired shirt dress, with short sleeves, side pockets and a button fastening to the front. Zara Basics Ladies Yellow Dress Size M. Condition is Used. Dispatched with Royal Mail 1st Class. A black floral ruffle sleeve dress with button front and tie belt fastening. Length from center back neck to hem 115 cm. ZARA Floral Dress Size XS. Condition is New with tags. Dispatched with eBay delivery – Shutl 2-3 days. 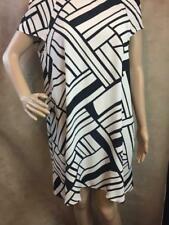 Zara Short Sleeved Shirt Dress Size Medium. Condition is Used. Dispatched with Royal Mail 1st Class. Zara Pink Dress, Size S. In excellent condition. Condition is Used. Dispatched with Royal Mail Signed For® 2nd Class. Ladies Lovely Pink Dress Size M Zara. Condition is New with tags. Dispatched with Royal Mail 2nd Class. Zara Floral Ditsy Floral Dress XS. Perfect spring dress! Very versatile! Condition is Very good. Dispatched with Royal Mail 2nd Class. No returns so please ask questions. From a smoke free pet free household. 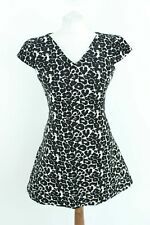 Zara Mint Green Stork Print Open Back Kitsch Blogger Skater Dress Size XS. Condition is Used. Dispatched with Royal Mail 2nd Class. Zara Daisy Dress M/10. Condition is Used but very good,sweetheart neckline. PayPal only, sorry I only ship to the UK. No returns accepted. Zara Plokadot Belted Tea Dress XS. Good Condition Dispatched with Royal Mail 2nd Class. Please check out my other items from a pet/smoke free home. 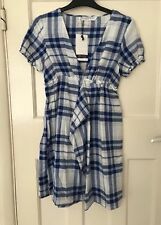 Gorgeous BNWT Zara Midi Slip Dress. Zara BNWT Black Dress Floral Embroidered Mesh Overlay Medium RRP £39.99. Condition is New with tags. Dispatched with eBay delivery – Shutl 2-3 days. Grained crinkle fabric. Gorgeous dress in pretty blush pink colour. Cold shoulder design. Looks gorgeous on - ideal for weddings/races/nights out etc. Wrap over style (stitched in place at waistband). New beige Zara dress. Material: 72%Viscose 24%Polyamide 4%Elastane. Ideal for the office and any casual wear. Can be worn on its own or combined with any other item. The material is easy clean and non-stretch. CREASED & LINED. SHIFT DRESS. SIZE M or 12. WITH BEADS. Can be produced upon request . Floral print dress with ruffle hem. Machine wash on wool cycle. All parcels are marked for the driver to obtain a clear signature ( no scribbles !). Features a plunging V-neckline with smocked elastic detailing, short sleeves with elastic cuffs and button fastening in the front. Composition – 100% Viscose. ZARA V NECK MIDI SHIRT DRESS WITH SHORT TURN UP SLEEVES.FEATURES DOUBLE BREASTED BUTTON FASTENING,AN ELASTIC WAISTBAND,SIDE POCKETS AND SILT ON THE HEM. Flowing loose-fit V-neck dress with short sleeves. ZARA LIGHT BLUE DRESS. ALL OVER DITSY FLORAL PRINT. MINI LENGTH. 〉 Knitwear. 〉 © Fashion She Wrote. 〉 Plus Size. 〉 Shorts & Hotpants. 〉 Trousers. Can be produced upon request . Machine wash on wool cycle. Flowing V-neck dress with short puffed sleeves. All parcels are marked for the driver to obtain a clear signature ( no scribbles !). 100% Viscose. BNWT SIZE S UK 8. ZARA LONG FLORAL PRINT SHIRT /TUNIC DRESS FRONT SLIT. ZARA FLORAL PRINT V-NECK DRESS WITH 3/4 SLEEVES, RUFFLED CUFFS, GATHERED WAIST. SIDE SLIT AT THE HEM AND BUTTON-UP FASTENING IN THE FRONT.